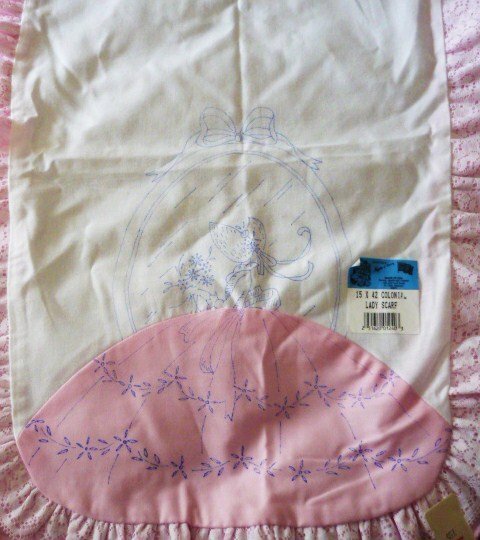 17 X 42 Inch, color: Pink and white, likely Poly/Cotton blend, Made in U.S.A.
Never used ~ New and Rare! We are a smoke/pet free home. Trust in the over 1500 feedbacks at my ebay site (elisia1).